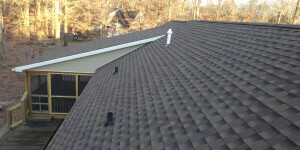 Roofing is one of many great services we offer here at Excel Builders, and we offer it all over Maryland and Delaware. Call today for the finest work from some of the area’s only GAF-certified roofing contractors. See Below for more information about the services we offer. Concerned about your roof? Considering a home addition or second story? We’d be happy to help. 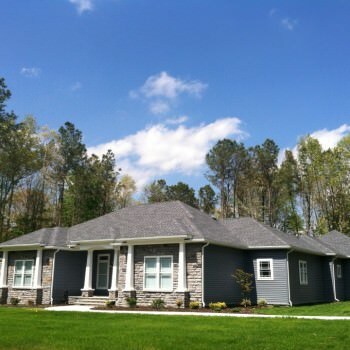 During an evaluation, our roofing contractors in Delaware will cover everything you need to know about the state and structure. Full roofing installation or replacement is no challenge for our experienced contractors. 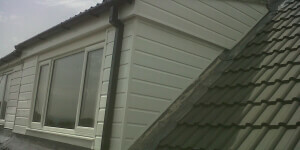 We can work with almost any home or roof style. Let us help you with your flashing. Damaged or improperly-installed flashing can be repaired or replaced easily by our experienced team. Flat roofs are easier to protect than ever before with the latest in roof membrane technology. Ask how we can protect flat roofs from moisture and other common problems. We can help you with just about anything that could go wrong. Call our expert contractors to get help with everything you see below. Find out more about these problems in the next section. 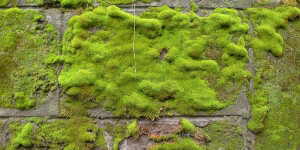 Our roofers can help when your roof has been colonized by growths such as algae, moss and Lichen. 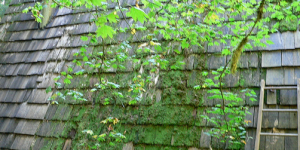 These growths are not just dangerous to your roof, but also incredibly stubborn. 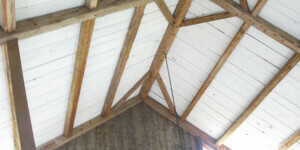 Deck sheathing typically protects the rafters directly, and is the base that shingles are nailed to. Leaking in your home can mean damage or improperly-installed sheathing. Since sheathing is at the bottom, it also means all the other defenses have failed, too. You should call immediately. The underlayment is the layer immediately above the sheathing but under the shingles. It stops your shingles from melting onto the sheathing. 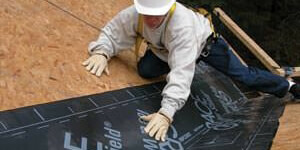 Like the shingles themselves, the underlayment has a limited lifespan. 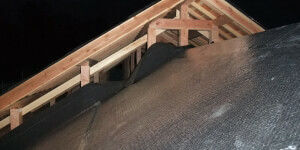 Flashings are installed around protrusions like chimneys, skylights and dorners. Flashings may sometimes be installed incorrectly as solid flashing instead of step flashing. We can fix that problem and many other flashing problems. These shields are installed around roof perimeters, skylights and other areas where protruding happens. It’s vital that the shield is working properly because it protects some of the most vulnerable areas. Any leaking or airflow is a serious problem. Your home may or may not need ventilation. 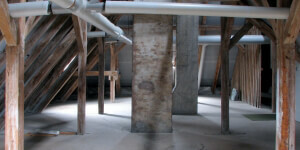 Temperature extremes in your attic may be a sign of inadequate conditioning or ventilation. There are many ways we can help. The pitch is the slope of your roof. A low-sloped roof will present challenges when it comes to drainage. 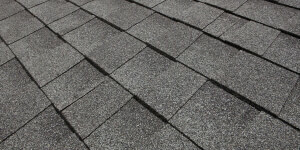 In fact, many shingles may not be insured for roofs with a low slope. We have solutions that will let you keep the look and reduce the risk of water damage. Shingles are your first line of defense. There are several different kinds (see image) and plenty of different looks. 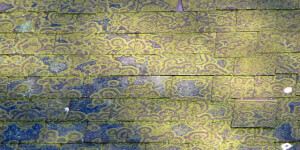 Shingles deteriorate over time, and they can fail even when new if installed improperly or damaged. We have the solutions you need.